Disclosure: I received product to facilitate this review. As always, this review contains my honest opinions. 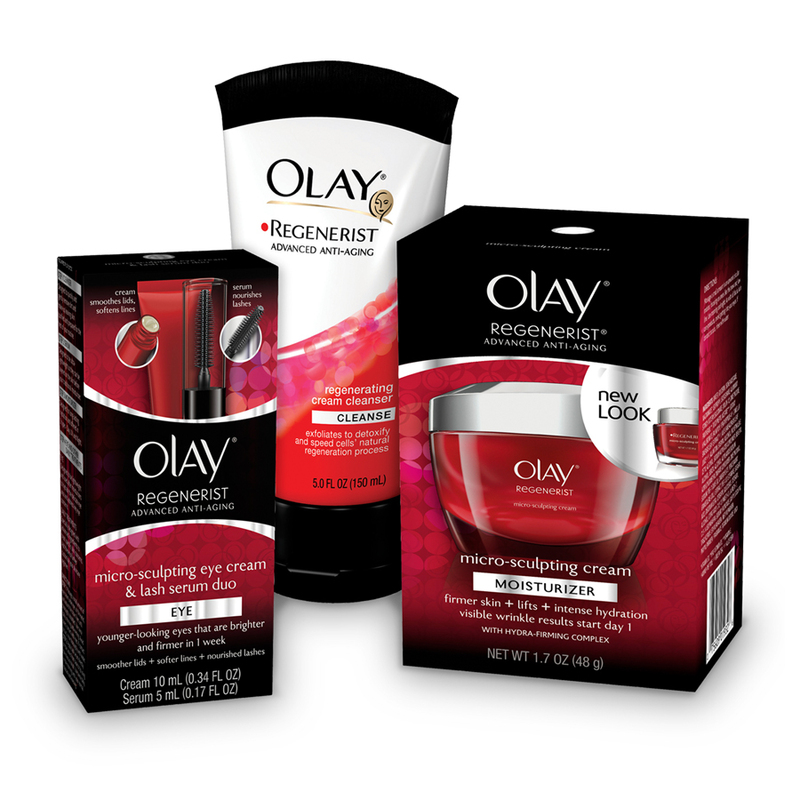 The Olay Regenerist product, information, and gift pack have been provided by Olay. As a child, I remember watching my mom rub cold cream onto her face at night. In my 20s, I wasn't really sure that cold creams and the such really worked, but by my 30s, I found myself using some anti-aging products from department stores. I felt like I got some results with some of them. Over the past couple years, I have tried non-department store products and with some, felt they probably were helping me not look worse and with a couple, I noticed improvement. 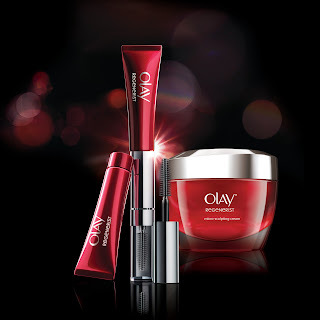 I was able to try two products, Regenerist Micro-Sculpting Cream and the Micro-Sculpting Eye Cream and Lash Serum Duo. The Regenerist Micro-Sculpting Cream has a nice texture and feels good going on my skin. It doesn't feel greasy or heavy in the least. I am prone to oily skin in areas and it does not make my skin feel oily. 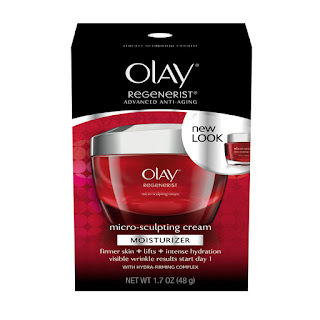 The box for the Micro-Sculpting Moisturizer boasts visible wrinkle results in one day. Maybe that is true under a microscope, but I didn't notice anything. However, after using this product for a couple weeks, there have been times when I have looked in the mirror and thought I had makeup on when I knew I didn't! I can honestly say I have seen more than minimal results. In fact, I have seen impressive results in my skin. 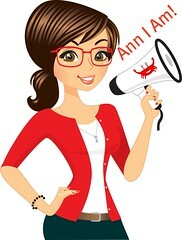 My skin not only looks firmer, but looks brighter and younger, like the glow it had when I was in my 20s! On to the Micro-Sculpting Eye Cream and Lash Serum Duo. The eye cream is very nice. The only thing I would change would be the tip of the tube. At first, I would squeeze way too much out, but after a few tries, I could manage to get just enough out. I think a pointy tip would offer better control of how much squeezes out. The cream itself is nice and feels really light. I have noticed that my eyes looked brighter and smoother. I have a patch of skin above my eye close to my nose that is historically scaley no matter what product I have used on it. However, the Regenerist Micro-Sculpting Eye Cream has dramatically improved that area and smoothed it out! Amazing! 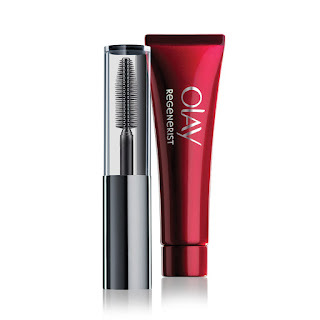 As far as the Lash Serum, I like it. I am sure conditioning your lashes is probably beneficial at some level, but feel the best thing about this is that it combs and separates your lashes so when you put your mascara on, your lashes look thicker and healthier. The best part of me trying this is that I get to offer one of my readers a chance to try it for themselves! 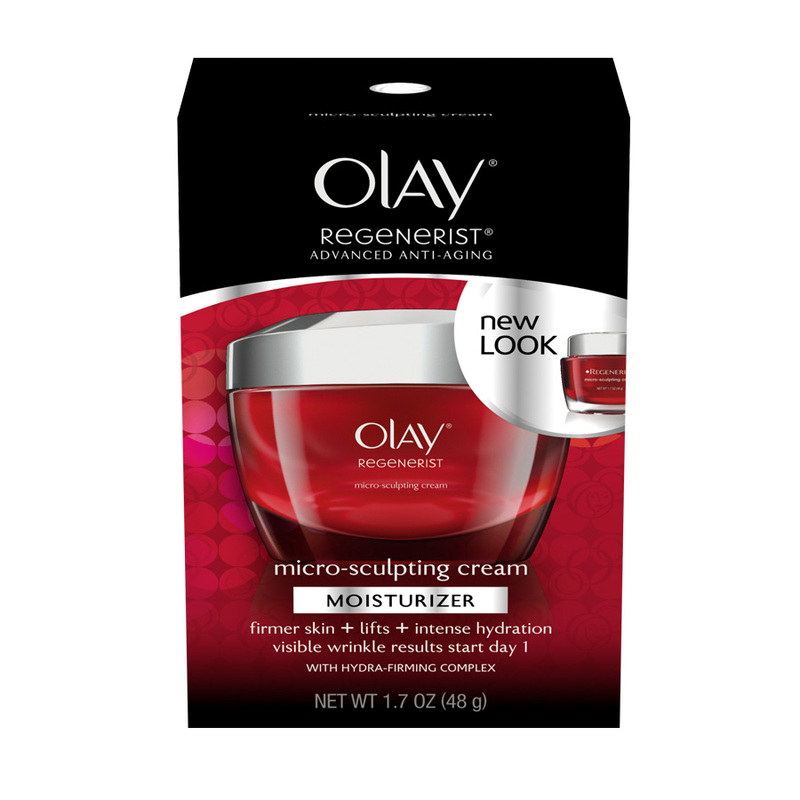 I am able to offer one giveaway pack containing the Olay Regenerist Regenerating Cream Cleanser, NEW Micro-Sculpting Eye Cream & Lash Serum Duo, and NEW Micro-Sculpting Cream. Just enter the super easy Rafflecopter Giveaway below. To look younger I keep my streaks blonde so you can't notice any gray! I am very young at heart and my attitude keeps me feeling younger! I would love to win this. I am turning 50 and my skin care needs have changed. I could use some regenerating! Well I haven't done much of anything, for which I am sorry. But I'm trying to wear makeup more, dress up more,etc. I try to eat healthy. I think that's the best way to take care of yourself. I use something with sunscreen in it everyday. Take my make-up off also. Daily exercise and watch for what I eat . I take walks and try to eat healthy and use Oil of olay. I try to eat right and stay out of the sun. I drink a lot of water, exercise as much as I can, eat fruits or vegestables with every meal and take care of my skin. To stay looking younger I wash the grey right outta my hair and stay hydrated..!! Drink alot of h20...!! I also use alot of sunscreen..!! Thanks for this giveaway! To stay young I exercise regularly, eat veggies and fruits, drink lots of water and stay hydrated. I try to take the right supplements, eat relatively healthy, drink enough water, get plenty of rest, and moisturize my skin daily. Drink lots of water and try to eat right.